For seniors, especially, losing a pet can bring on painful memories of other deaths, or even remind them of their mortality. Seniors will often find themselves having to deal with the loss of family, a significant other, friends, and grown children. Many will get a pet to keep them company. 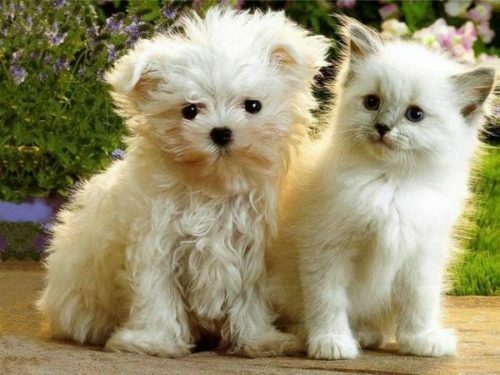 Pets will combat loneliness by offering affection, unconditional love, support and most importantly, companionship. Pets can give seniors a great sense of self-worth because these four-legged creatures rely on their owners for virtually every aspect of their caretaking. So when a beloved pet passes away, how do you cope? Share your grief with others. Find a sympathetic ear from someone, who will listen to the feelings of sadness you are experiencing. Hopefully, you will be allowed to express yourself at length about your pet and reminisce about the good times you shared. If you can’t find a shoulder to cry on, look for a support group like The Association for Pet Loss and Bereavement (APLB). The nonprofit organization has a chatroom that is free and available to anyone bereaving for a beloved pet, membership is not required. The ASPCA offers a grief counseling hotline from noon to midnight, EST, 877-GRIEF-10 or 877-474-3310. If you prefer to speak with a counselor about the passing of your pet, Everlife Memorials has compiled a list of pet loss counselors across the country. Why not have a memorial service? Owners who are grieving over their deceased pet should consider having a memorial service. It is a wonderful way to celebrate your pet’s life and to give them a proper goodbye. Grieve at your own pace. There is no timeline for grieving, so it is crucial that you do so at your own pace. Don’t allow the callousness of others to push you towards getting over your sorrow quickly. Grieving is a process, and there are those who need more time than others. If there are little remembrances throughout your home of your cherished pet like a leash or squeaky toy, do not let others dictate when you should dispose of them. Clear up those lingering questions about your pet’s death. If you have questions or doubts about how your pet died, make sure to clear them up by speaking with your vet. Wondering or not understanding your pet’s cause of death will only add to your hurt. Regain your sense of purpose. For seniors, especially, losing a pet can bring on painful memories of other deaths, or even remind them of their mortality. Some might even experience an overwhelming sense of emptiness. It is important for seniors to make the moves that will help them cope with their loss to get back their sense of purpose. Seniors who have lost their four-legged best friends should consider volunteering, perhaps at a local humane society. Getting together with friends and family is another healing way to cope with a loss. Finally, don’t let others rush you into getting another pet as this move might not be best for you or the animal. A new pet can never replace the beloved one you’ve lost. Only you can determine when you are ready to bring another pet into your life. Whenever you do decide to open your heart to another pet, keep in mind that your local animal shelter or rescue is a great place to find one.